The City and County of San Francisco administers one of the most successful urban organic management programs world wide as part of its Zero Waste goal. This involves the collection of food scrapes and green waste from all commercial, residential and government buildings within its geographical jurisdiction. New science from the Marin Carbon Project conducted by Silver Labs of University of California at Berkeley demonstrated that a one time application of compost arrested soil carbon loss in grazed rangelands and catalyzed ongoing annual photosynthetic capture and sequestration of atmospheric carbon dioxide in the form of durable soil carbon. In addition to carbon sequestration, compost application increased water holding capacity, forage production and nutritional content of forage. Preliminary estimates provided by MCP’s science team show that a one time application of compost over 5% of California’s rangelands would create a carbon sink equal to total annual emissions from the energy use in the commercial and residential sectors statewide. 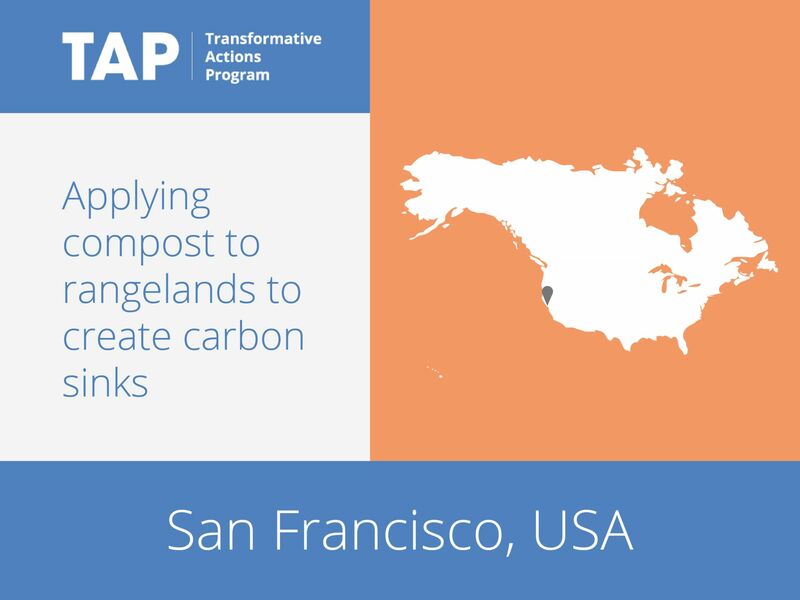 With the partnership of Environmental Defense Fund and Terra Global Capital, the compost application to grazed rangelands process has been developed into an American Carbon Registry approved carbon credit protocol. This protocol has also been adopted by the Association of Regional Air Quality Managements Districts for GHG mitigation purposes pertaining to the California Environmental Quality Act (CEQA). The long term production of compost and application in agricultural setting will work to 1) enhance agricultural resilience 2) create a significant carbon sink and 3) avoid emissions of the potent greenhouse gases methane and nitrous oxide through the diversion or organics from landfills and the replacement of synthetic petrochemical fertilizers.